This side dish is made of mostly carbohydrates thanks to the fiber in the green beans. Pair it with a meal composed mostly of protein and fat and a small additional amount of carbs to make it balanced and stabilize your blood sugar. Preheat oven to 400ºF. Place green beans on a baking sheet and lightly spray with cooking spray. Roast green beans for 15 minutes, stirring occasionally. 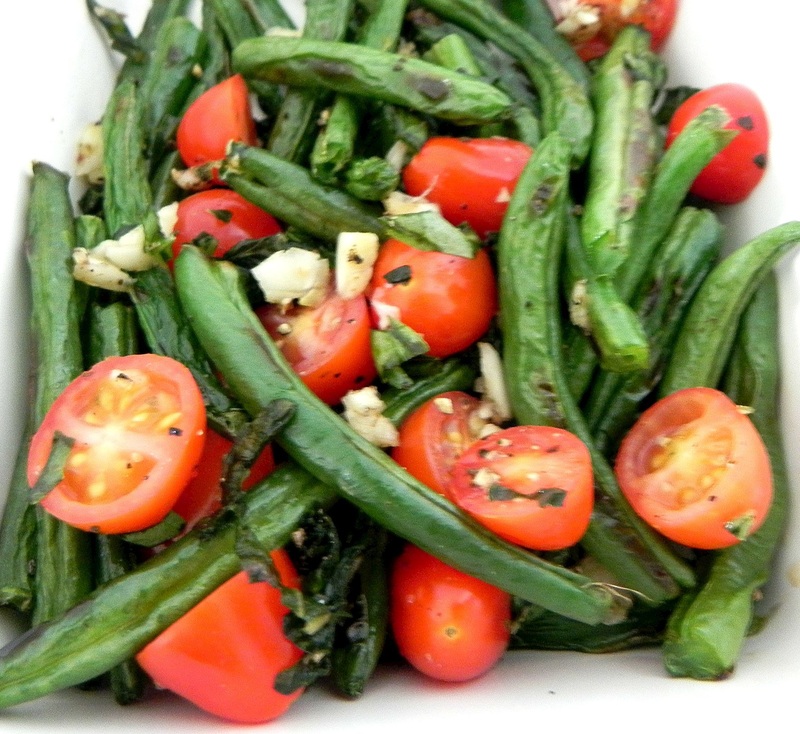 When green beans are roasted, toss with tomato mixture and serve warm.